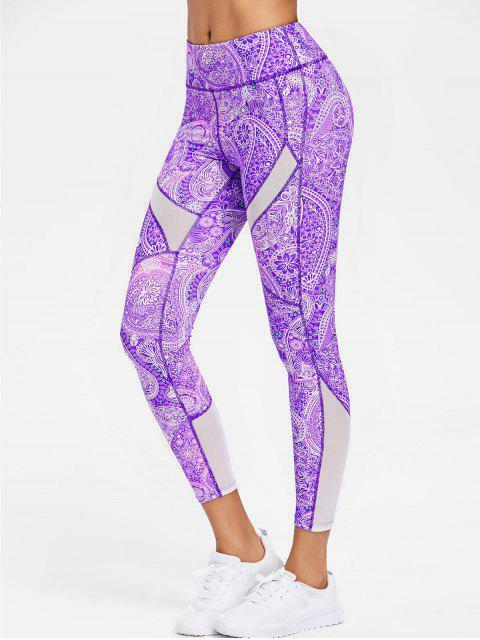 [59% OFF] 2019 Paisley Mesh Insert Active Leggings In VIOLET | ZAFUL ..
Make you love sports! 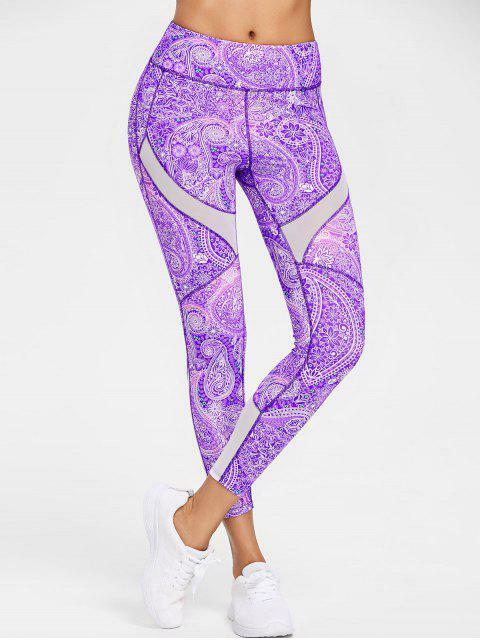 So soft and comfortable to wear, this pair of athletic stretch-knit leggings features ethnic paisley pattern to offer a trendy workout style, mesh panels on legs to ventilate while doing exercise, and a high-rise wide waistband with a hidden key pocket for your small essentials. Just style it with sporty bras to complete the stylish gym look!